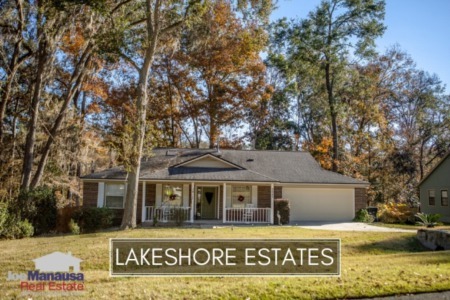 Lakeshore Estates is another NW Tallahassee neighborhood that is barely over the dividing line between East and West Tallahassee. Just as we saw in yesterday's report on Pine Tip Hills, centrally located NW neighborhoods are getting missed by many buyers who are focusing purely on NE Tallahassee. I believe this is a mistake. Loaded with 3 and 4 bedroom homes, most of these single family detached homes were built from the 1960s through the early 2000s. This means you're looking at a lot of house for the money. As you will see in our report below, this neighborhood was hot in 2015 and will likely continue to be highly active again this year. It is important to note that the narrative contained below is for sales through December for all previous years, but through the first week of February in 2016. The graphs and the closed sales table will be continuously updated into the future (meaning bookmark this page if you always want to know the current status of homes in the Lakeshore Estates). Average home prices rose 9% in 2015 for the second year in a row after hitting market bottom in 2013, which means that buyers are willing to spend the money to live in this popular NW (almost NE) Tallahassee location. Last year's average home price in Lakeshore Estates was $161,500, while this year we see them plunging. Don't let that fool you though, one sales was through HUD while the other was a VA sale. Expect arms length sellers to hold on for higher prices. Home sales activity in 2015 was the best we had seen since 2006. There were 31 closed home sales in Lakeshore Estates, which equates to a "normal" year when looking back over the past 25 years. Average home values grew modestly in 2015 over 2014, which means that homeowners have enjoyed appreciation in Lakeshore Estates for the past two years. In 2015, the average value of a home sold in Lakeshore Estates was $95 per square foot. This is 2% higher than what was recorded in 2014, and still 25% below the values recorded at the peak of the market in 2008. 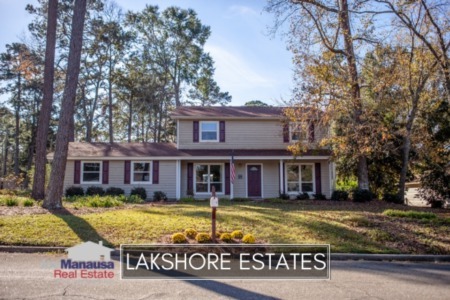 The average home size sold in Lakeshore Estates typically falls in a range of 1,500 to 1,800 square feet, and 2015 homebuyers were selecting homes near the center of this range. The 31 home sales in 2015 have averaged 1,685 square feet. The two sold through the writing of this report in February 2016 have averaged just over 1,800 square feet. The following list shows home sales in Lakeshore Estates going back to 1991. I hope you enjoyed our February 2016 update on home sales in Lakeshore Estates, please feel free to drop me a note if you have questions not covered in this report.